Continued Orb photos of the Hotel De Coronado, San Diego. This photo was taken of the haunted room, room 3327. My fiancee and I were lucky to walk by the room, and a man was checking out of the haunted room, and he said we were welcome to snap some photos, amazing...He never saw or felt anything unusual when he spent the night, but were were amazed to see these Orbs on film. 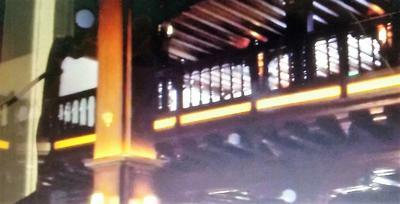 The other photo was also taken of three Orbs in a row, one of them in motion at the Hotel.